Established in 1995 our team of Ensafe experts offer a wealth of knowledge and experience helping clients achieve legislative compliance without compromise. 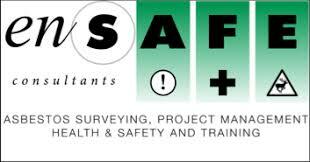 At Ensafe we are proud to deliver compliance without complication as our extensive case studies demonstrate. Our collaborative, collective experience means we are a multi-disciplined consultancy offering a comprehensive range of services. We operate across a number of sectors and our case studies are examples of how Ensafe’s expertise provide solutions for numerous clients industry wide. Our extensive portfolio of clients range from small businesses to multinational blue-chip organisations. Clients consistently choose Ensafe because of our industry wide expertise and significant sector experience as we offer compliance without complication. UKAS accredited, Ensafe is industry renowned for providing professional, high-quality, cost-effective and tailor made solutions.